Good communication across an organization is difficult enough with one site. Adding locations and distance between them just multiplies the problem. A typical church will over time develop vertical silos. As the church grows, each ministry becomes more complex and the leaders become more specialized. A high-capacity leader could oversee multiple ministries in the beginning, but now has to focus on just one. The common result of this change is ministries stop talking to each other. When you add multiple sites to the mix, you not only have individual ministry silos, you now have multiple versions of them. One site’s children’s ministry may not look the same as another site’s. The small groups system at the “original campus” may not work as well at a smaller, new campus. While there will always be communications tension at a growing church, that tension can be better managed with a functional central support system. Some kind of central support is an absolute necessity after a church has more than two sites. A central team is not only there to make sure each site is properly supported, but to also make sure the DNA of the church is carried all the way through the ministries. They are the quality control team. The key to a successful central support is consistent, open dialogue. The first step to distrust and silos is information that is withheld and then leaked out later. Open communication from the beginning leads to trust and loyalty down the road. The temptation when going multisite is to make every site look and act exactly the same. What works at the larger campus is re-packaged and implemented at every other site. This approach works better with some areas than others. I am a big fan of making the Sunday experience feel as much the same as possible. Branding is very easy to replicate across campuses. A 2-3 year old class at one site should have the same name and curriculum as another site. The signage and overall feel of the building can be the same, even if one is permanent and one is portable. Even if the songs that are played may be different, there should be a style of worship that stays consistent across the church. Where it gets more difficult are the ministries that function outside of the Sunday morning experiences. A large group format men’s ministry may not be possible at a smaller campus. They will be more successful just starting with a few men’s small groups. It may not be possible to pull off a high-impact student ministry from day 1 of the campus. They may need to start with small groups and continuing to join the original campus for large events. Small groups connection events will need to look a little different at each campus. A smaller campus has the capacity to make their events more personal and intimate, where a larger one has to get people in and out. In the end, the right expectations lead to successful ministries for every campus. There is nothing more scary than turning the keys of the car over to your teenager. A lifetime of being in the driver’s seat of control is now being replaced with a driver with less experience. We just pray that they go the right direction and don’t hit anyone else along the way. It’s the same feeling when launching those baby campuses. We may have to do most of the driving at the beginning, but there will come a time when we have to let them take the wheel occasionally – as long as we are still headed the same direction. There may be an event that makes no sense for the original campus’ culture, but could be a home run for the remote campus’ community. The ability to own that event will give those leaders their own identity while staying true to the church’s mission. Local campus leaders should be invited to the table when new ministry initiatives are in the infant stage of discussions. It may be ultimately up to the senior leadership for the final decision, but only after multiple voices have been included in the process. Turning over the keys may lead to a few dings on the bumper, but the organization will be healthier because of it. Chris is a pastor, speaker, author and ministry consultant with The Unstuck Group. 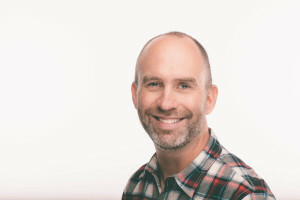 He was the Pastor Of Adult Ministries at Cross Point Church in Nashville, Tennessee, where he oversaw and helped guide small groups and global and local good across five campuses. Before coming to Cross Point in 2009, Chris was on staff at Seacoast Church in Charleston, South Carolina, for fifteen years, serving as a worship arts pastor, campus pastor and on the directional leadership team. Both Cross Point and Seacoast have been recognized as two of the fastest growing churches in the United States. Chris is passionate about helping people find their next steps toward God within the context of community. His first book, Small Groups For The Rest Of Us: How to Design Your Small Groups System to Reach the Fringes, will be released by Thomas Nelson on September 29, 2015.